The Mystic Trilogy by our very own... JASON DENZEL! 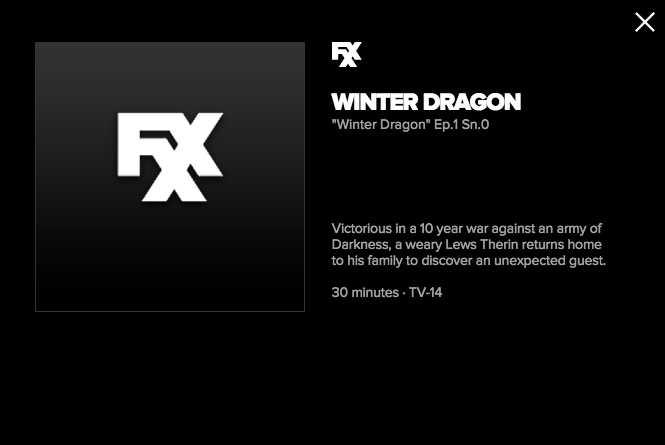 Various fans have alerted us to the fact that FX is airing a TV show tomorrow (Monday, Feb 9) called The Wheel of Time: Winter Dragon. 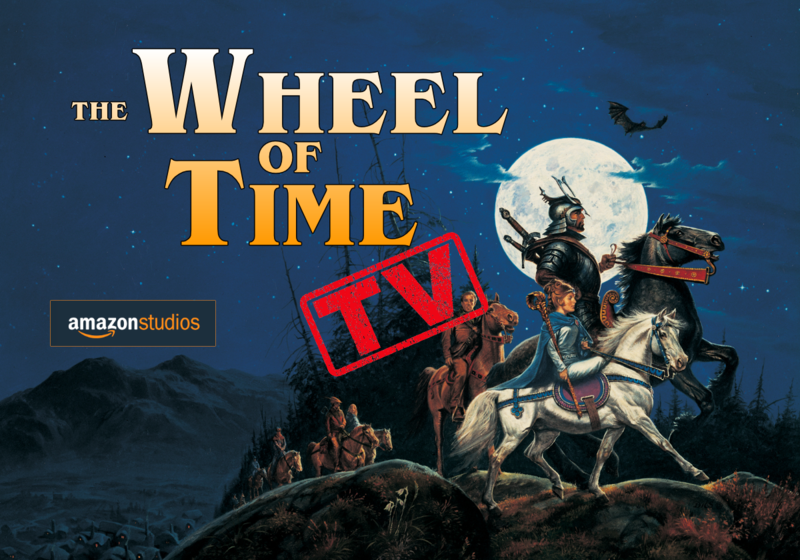 Here's what we know: It is our understanding that The Wheel of Time movie and TV rights are currently owned by Red Eagle Entertainment. REE has had these rights for many years. During that time, they've been involved in several significant efforts to produce a feature film or TV show. We've reported on these efforts in the past, and have supported them at various times. (Full disclosure: I was a consultant for them on some of these efforts.) We know that Red Eagle's rights expire after 7 years, beginning about a year after RJ died in 2007. Harriet has been very clear about that length of time in the past. (She's called it an "biblical" number of years.) Based on our math, it's our suspicion that the rights are about to expire. Possibly any day. Typically in contracts of this kind, the producers who own the rights need to produce a TV show or movie before the deadline, at which time they receive an extension. So in order for Red Eagle to keep those rights, and extend the time period they have them, they would have to successfully produce a pilot before that deadline occurs. All they need to do is put out an episode with the name Wheel of Time on it, and use some familiar characters. We don't know what this episode will look like. There has been no trailer, no advertising, and not even an IMDB entry that we can find. ​ Other possibilities include that Red Eagle transferred the rights to somebody else, and this new group is producing the show. We don't know how many episodes have been created. Our guess is that there's just one so far. Harriet and Team Jordan are currently unable to speak about anything related to the TV or movie rights. So check your local listings to see when it will be on. Be sure to follow us on Twitter and Facebook to get more information on whether this becomes viewable elsewhere. If we get more info about what's happening, we'll let you know. Enjoy the show! Vote Panchi. Cause Kivam scares me. Voting for BANDWAGON. I mean... SinisterDeath Also: hi. I'm here! I'm here! I'm a fan. Like, a REAL one. And I totally was going to vote verbal anyway. Um, really. 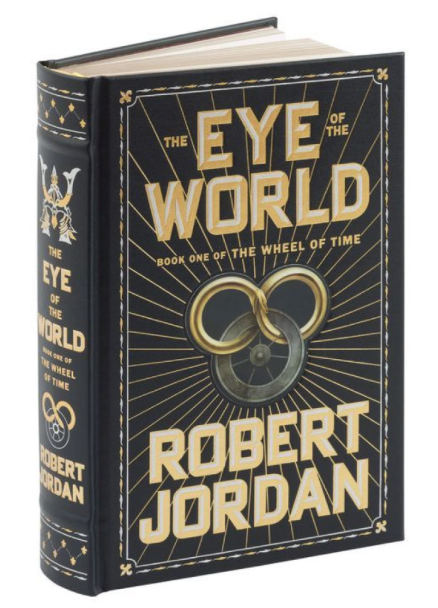 Today Tor Books released new information about the Wheel of Time Companion, the upcoming encyclopedia-style supplement to the Wheel of Time series. Here's what we know about the book so far: It will be released in November 2015. It's organized alphabetically, like an encyclopedia, with entries for all 2,000+ named characters in the series. It includes a complete dictionary for the Old Tongue. It includes other information about the characters, history, and world such as the relative strengths for many channelers. It includes new maps and character illustrations (although we are not sure if they are color or black and white. No artists have been announced). It includes all of the maps previously found inside the books. The complete book is over 350,000 words, which makes it as longer than an average-sized WoT novel. 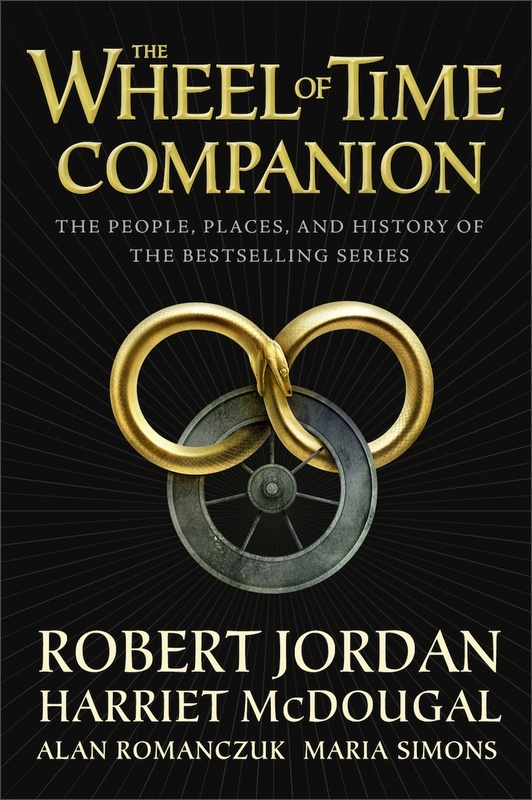 The Companion will have spoilers for the entire series. The image seen here is the book cover. Harriet McDougall is, of course, Robert Jordan's widow and the editor of the entire series. Alan Romanczuk and Maria Simons are their assistants, who've had an intimate role in organizing and tracking the lore of the series for many years. 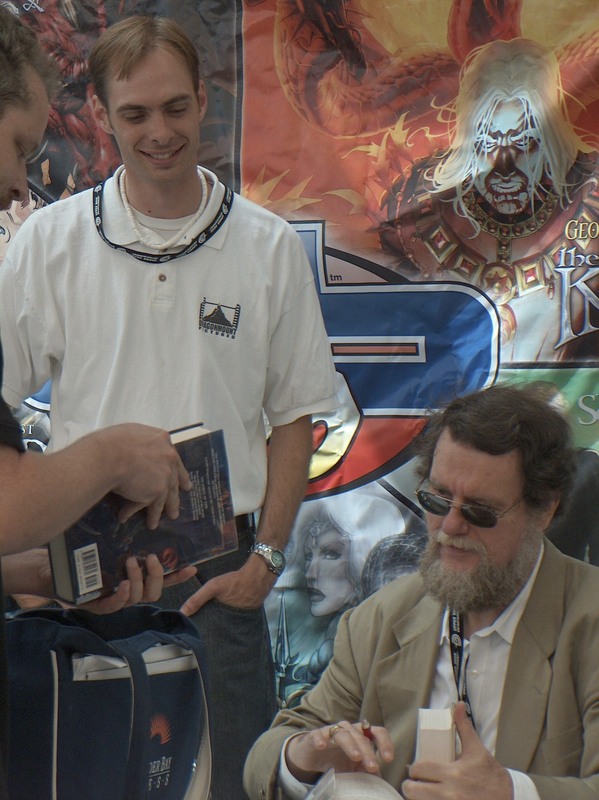 Robert Jordan's signed copy of A GAME OF THRONES.